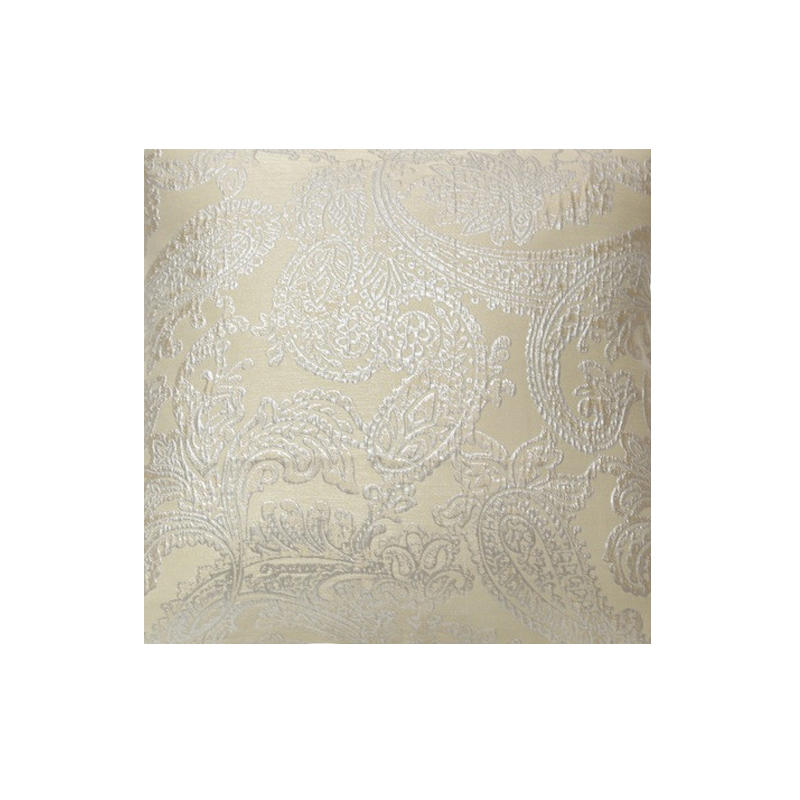 The soft shimmer within the platinum paisley print of the Arabesque Duvet set will bring a subtle touch of elegance and luxury to your bedroom. 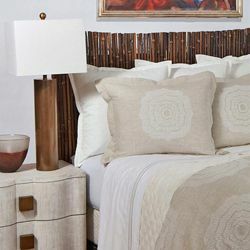 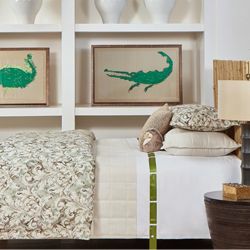 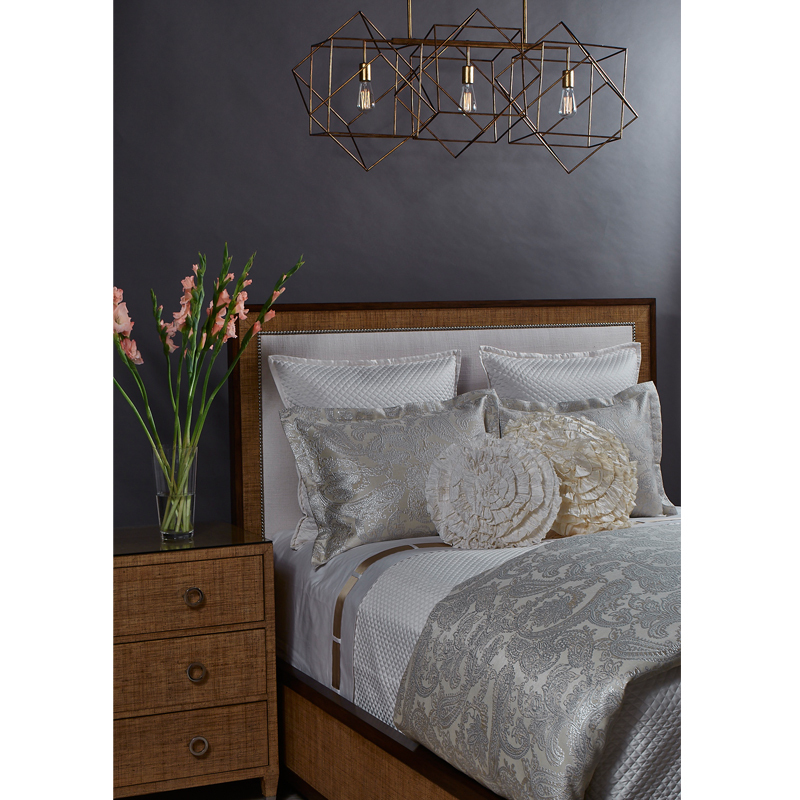 It features an inviting platinum color that coordinates easily with an array of bedding accents to create a unique bedding collection that suits your decor style. 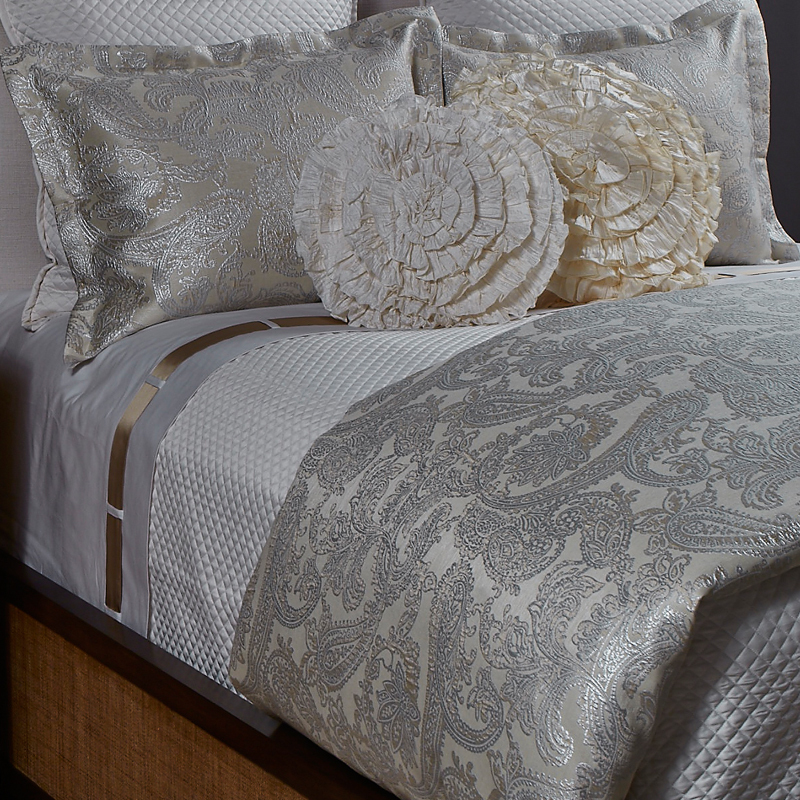 The photo above shows the Arabesque Platinum Duvet Set paired with the Ivory Single Diamond Coverlet Set. 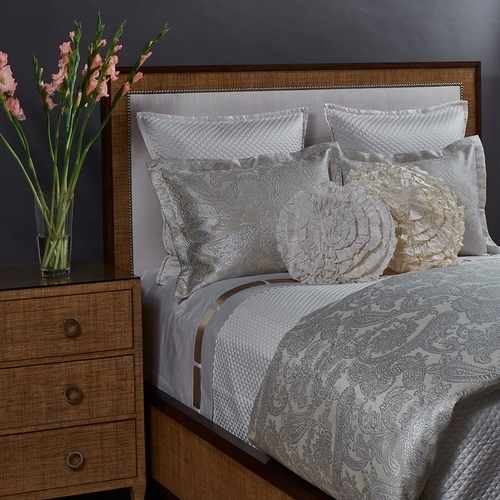 The Arabesque Duvet Set in Platinum is available as a 3 piece King or Queen size set.